"A translation of 尼罗 Niluo's historical fiction"
“This is the story of a lonely young man. A Cruel Romance has not been tagged yet. 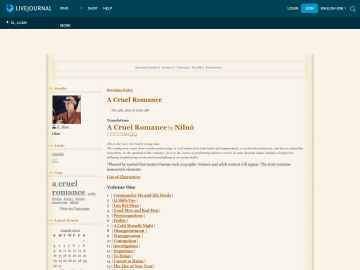 Help others find A Cruel Romance by tagging it! A Cruel Romance has not been reviewed yet. A Cruel Romance has not been recommended yet.